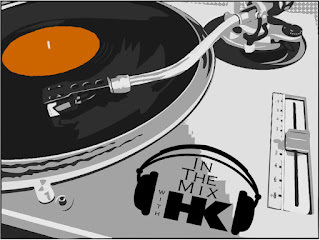 When the needle drops on your favorite tracks in a way you've never heard before, the bass kicks in and the volume is screaming to be turned up…you know you’re In The Mix with HK™. Oh yeah, I’ve got a PARTY for you this weekend! I’m gettin' ready to treat your inner ear to some sweet sonic pleasure with exclusive HK remixes on Ed Sheeran, Luis Fonsi & Daddy Yankee, Katy Perry, Bruno Mars and More! There's also gonna be brand new bangers from David Guetta feat. Justin Bieber, Major Lazer feat. Travis Scott/Camila Cabello/Quavo and others. PLUS…a totally sic mashup on Green Day's – When September Comes, a reworking of a dance classic and this week's PICK TO HIT™. So, there’s two things you need to do this weekend. First, give Dad an extra hug and don't forget to make his Father’s Day great! Second, get In The Mix with HK™!